The Moulton Falls to Bluff Mountain segment of the Chinook Trail is a twenty-nine mile long non-motorized trail that is the first completed segment of the 300-mile loop proposed around the rim of the Columbia River Gorge. The trail begins at Moulton Falls Regional Park: From Vancouver drive north on I-5. Take exit 11and follow WA-502 E to Battle Ground. Turn left at the intersection with WA-503 N and go north on WA-503 N for 5 1/2 miles to NE Rock Creek Road. Turn right onto NE Rock Creek Road and drive east. The Moulton Falls Regional Park is on the right about 8 miles from WA-503 N. Go past the small parking lot and continue to the large parking lot which is just before the intersection with NE Sunset Falls Road. Moulton Falls to Bluff Mountain segment of the Chinook Trail crosses several jurisdictions. Those segments occurring in Washington Department of Natural Resources and Clark County Washington lands are secured by Recreational easements. Of the 29 miles, only 8 miles are situated on Forest Service managed lands. The trail goes from 500' elevation at Lucia Falls to 4390' at Bluff Mountain. Average grade of the trail is 7 oh with a maximum of l5o/o. Vegetation ranges from hemlock fir forest in the lower elevations to barren rocky slopes in the higher elevations. Outstanding views of the major volcanic peaks and Portland/Vancouver metropolitan areas are available in the higher open hillsides. The trail passes through a variety of settings, but is basically rural in nature, occurring in a roaded natural semi-primitive area. 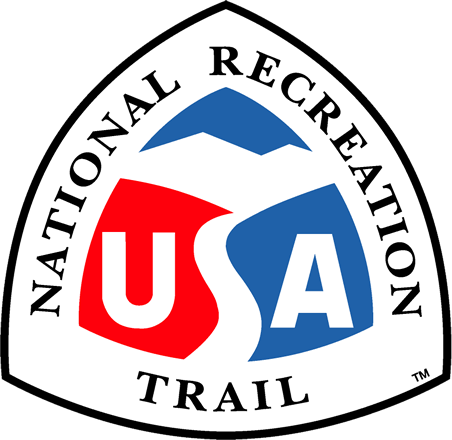 Nine trailheads serve the trail along the 29 miles including five with toilets and water at County Parks. 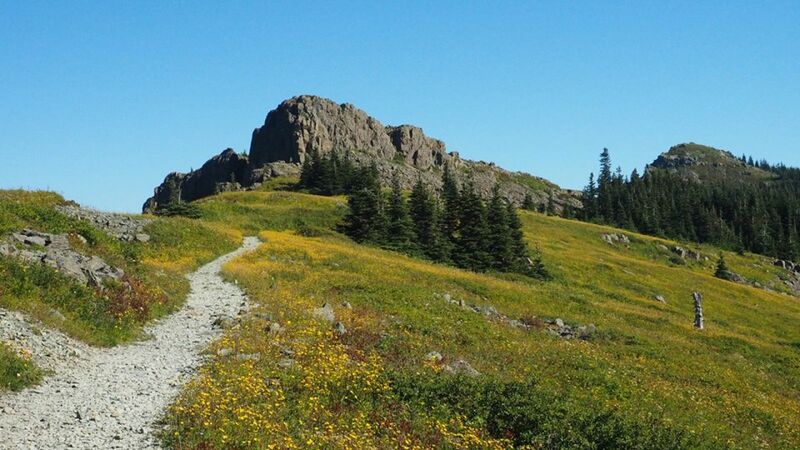 The trail passes through state and private forest lands with a full range of management activities. Several heritage resource sites occur on National Forest lands in the vicinity of the trail but are not directly affected by the designation. The Chinook Trail Association was formed in 1988 and received 501c3 (nonprofit) status in 1989. The goal of the CTA is to see the three hundred mile Chinook Trail planned and constructed. The founders envisioned the Chinook Tail would loop the Columbia River Gorge, at rim top, wherever possible. Chinook Trail representatives were invited by the Forest Service to the Wind River Ranger District in 1990 to chart the proposed trail. USFS personnel from Wind River, Mt. Adams, and Mt. Hood Districts as well as Columbia River Gorge National Scenic Area, the Gifford Pinchot and the Region Six office were in attendance. At the end of the day, the proposed Chinook Trail was a line on the map. The proposed trail is included in the Oregon State Parks Plan for the Columbia River Gorge, and the Interagency Committee for Outdoor Recreation's Trail Plan for the state of Washington.